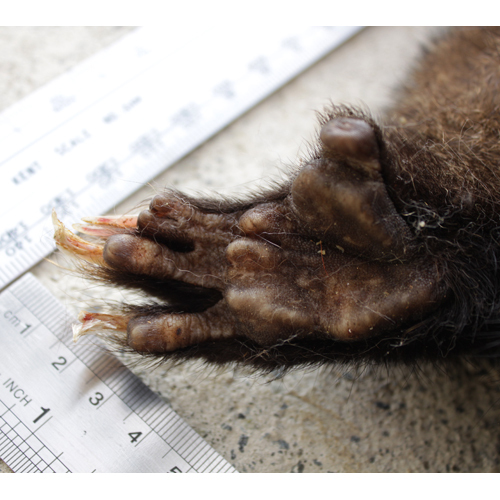 The hindfoot has an opposable ‘thumb’ without a claw and the second and third digits are fused for most of their length except the tips. Claws can’t retract. Many of the foot and toe pads show in footprints, the distance being longer on the hindfoot than forefoot.